two peas & the dog: food. 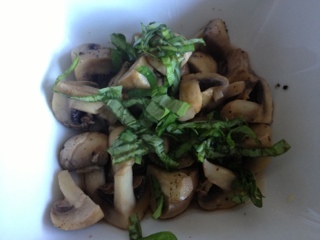 mushrooms with basil. Super easy. Super delicious. That's it. Really, make them soon. 1. 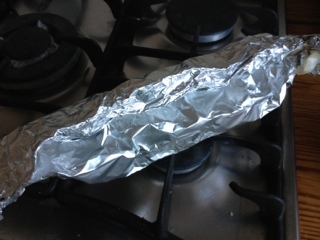 Place mushrooms in parchment-lined foil. 2. 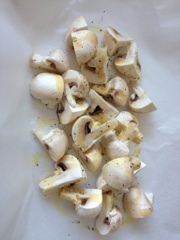 Drizzle with olive oil and salt and pepper. 4. Remove from grill, move to plate and sprinkle with basil. These were so easy and very tasty. We had them with burgers but you could whip them up with almost anything.